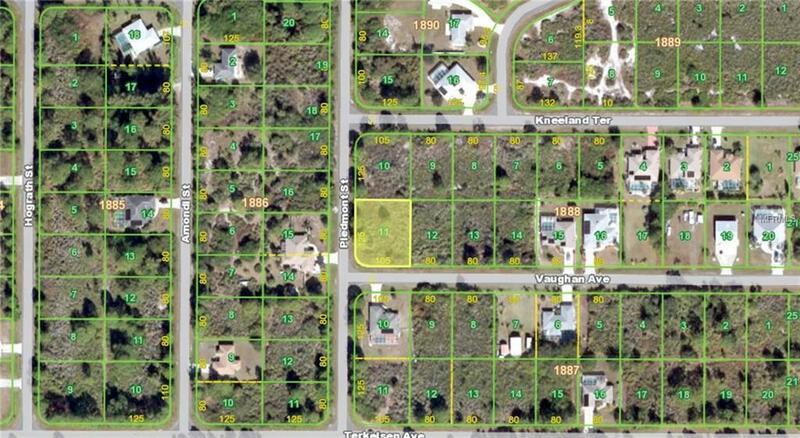 A HUGE, over sized home site in boating community of Gulf Cove,(105x125 corner lot), nearly 13000 sq. ft. homesite. NON -Flood "X'- Zone . Land will accommodate a much larger home or a huge , oversized garage if desired, public water and power to site, and very close to community park and boat ramp. Nice homes in the location, and very quiet and peaceful. It is in a scrub jay area, but this doesn't hinder building, just pay a nominal fee upon applying for building permit. Very little clearing to do to save thousands $$ when building.